Four of our School Council representatives visited the Civic Centre in Swanley this afternoon to meet the Mayor and discuss the role of the Town Council. 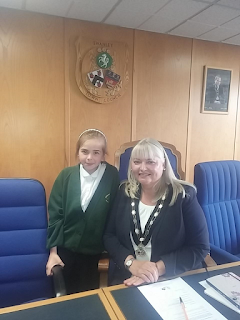 All four of our pupils were from Year 5 & 6 and included the Chair and the Secretary of our School Council. On arrival, their names places were set out all ready for this special occasion. 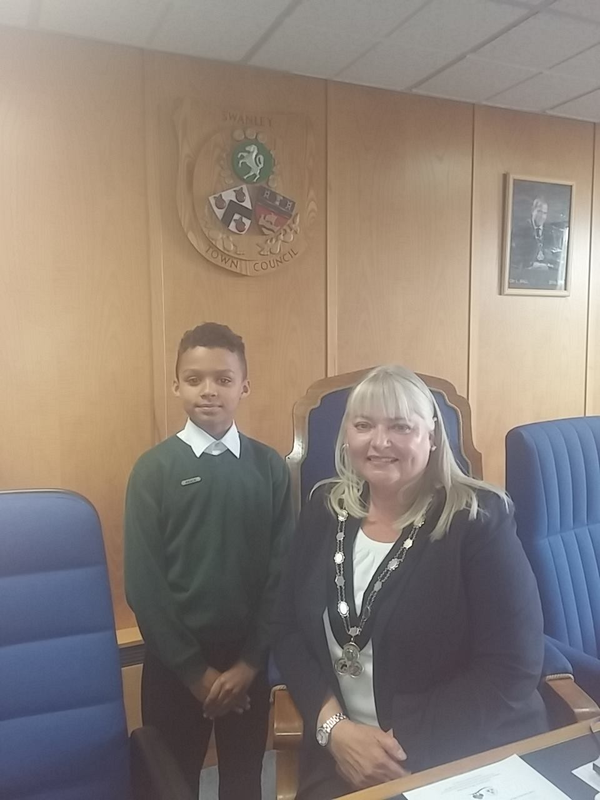 I hope that the children enjoyed their session with the Mayor and learnt much about the workings of the council and the role the Mayor has. Perhaps one or two might be inspired to go into politics? I'll keep my eye out for familiar names on the ballot papers in a few years time. 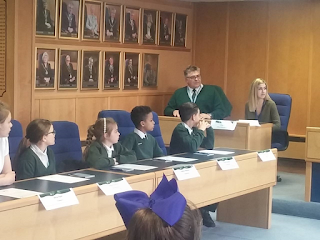 The children represented the school impeccably and asked some very thoughtful and insightful questions. In fact, the clerk of the meeting commented on just how brilliant the questions from Downsview pupils were - well done, all! Year 6 'Little Gritters' Challenge Day! 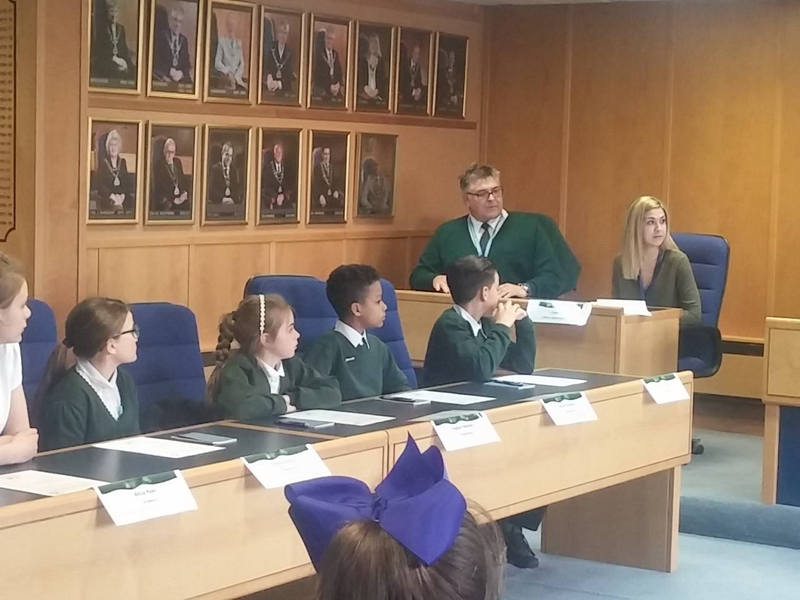 Last week, four of our Year 6 children were nominated to attend a very special challenge day called 'Little Gritters'....The event was organised to help youngsters understand the importance of perseverance and know that success can be achieved with hard work, determination and 'grit'. Nick Hind in action talking to the Year 6 pupils about perseverance, determination and 'GRIT'. The day was set up by Nick Hind (Educational Consultant) following a series of Leadership Workshop days with the Headteachers across the Swanley Collaboration. 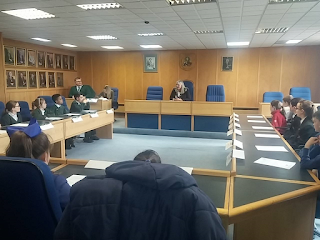 Schools involved alongside Downsview were: Horton Kirby, Horizon, West Kingsdown, Hextable, Crockenhill, St Barts & High Firs. It was a fantastic event - and very challenging! 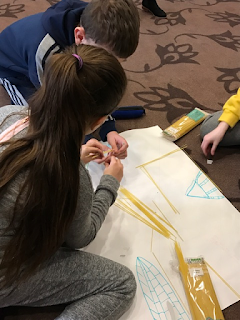 Pupils had four different tasks to complete that required thinking skills, teamwork and most importantly grit and determination. 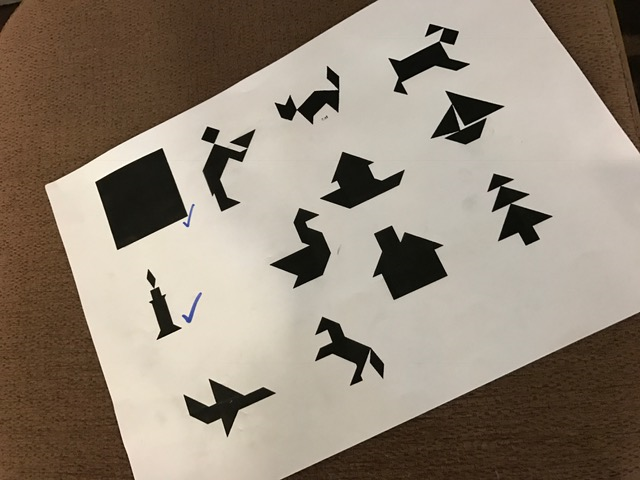 Challenge 1 - Mathematical...in teams, the children had a tangram problem to solve. Using just six different shaped pieces, the teams had to create as many of the pictures they were given. The winning team managed six! Impressive! Tangram challenge! Complex and demanding requiring carful thought and perseverance. Challenge 2 - Languages...pupils were asked to learn some Japanese! Could the children learning to count from one to ten in Japanese in just ten minutes? Answer - YES! Challenge 3 - Design & Construction...back in their teams, children had to design and build the tallest tower using just two packets of dried spaghetti. How tall could they make the tower? How would they allocate jobs? How well would they communicate? Building a tower of spaghetti was tricky! It required teamwork and a great deal of determination. 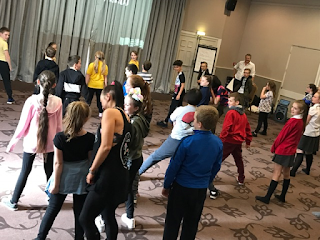 Challenge 4 - Physical...in the afternoon, the pupils were introduced to Karina - a professional dancer on many of the West End stage shows. Together, they learnt a dance routine to Abba's Mamma Mia. The dance moves were complex and it was pretty fast too. Very challenging indeed! Karina putting the Year 6 pupils through their paces....5, 6, 7, 8! 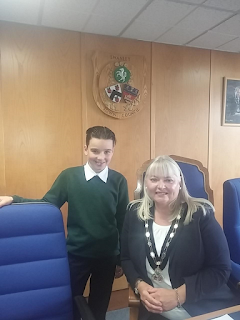 Throughout the day, all of the pupils in attendance (not just the Downsview children!) showed high levels of perseverance, determination and grit! 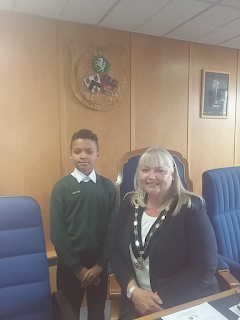 Not only was it highly enjoyable, but very though provoking too...perseverance is a key quality to possess and I hope that the children are able to remember this exciting day and the key messages it was trying to deliver. On Friday 24th March, eight of our Year 3 & Year 4 children travelled to Horton Kirby Primary School for a day of high quality writing. 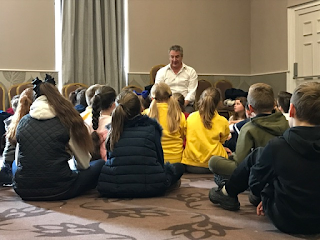 Upon arrival, the children were met by Neal Zetter - one of the UK's leading performance poets. Neal has run many workshops for talented writers over the years and really helped to engage and inspire the writers of the future. The focus was poetry and the children were asked to consider their language and vocabulary carefully for best impact. Year 3 pupils ready to get writing...signed books were available too! Neal performed some of his poetry with the children to share the power and effectiveness of rhythm within a poem. These three poems have been written as a Kennings...when an object is described using two word phrases. Well done and congratulations to everyone who attended the workshop. I hope that they have learnt some useful tips and tricks of the trade from a fantastic author! Thank you to everyone for getting involved in Comic Relief 2017! Not only were there silly socks on display throughout the school all day, but the school came together for a very special 'Downsview's Got Talent' in the afternoon. The stage was set, the microphones were on, the music was ready....Downsview's Got Talent! The acts included singing, dancing, gymnastics and comedy to name but a few! It was great to see our talented children showing their skills, enjoy their opportunity to 'perform' and entertain the audience. Congratulations to all of the acts that performed! As a finale, we were treated to a fabulous dance routine from The Wrong Direction (school staff! )....just fantastic! As a result of the silly socks and talent show, the school will be donating £131.50 to the Comic Relief charity. Thank you again to everyone who joined in the fun....I know that the money will be well spent by the charity to help those less fortunate than us. Thursday 2nd March 2017: What a magical day we have had at Downsview celebrating World Book Day! As the theme was 'magic,' children were asked to dress up as a character from a text which had a magical theme. There were so many amazing costumes. Staff were overwhelmed with wonderful high quality costumes seen across the school. During our special WBD assembly, each class were given a bag which contained a magical, mysterious character and prop. Using both, children had to come up with a story with a clear beginning, middle and end. 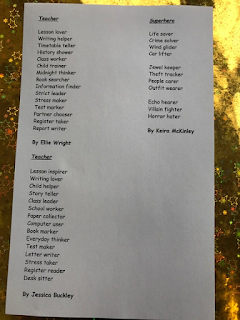 These fantastic stories were either written or acted and recorded in our special WBD books which will be kept in our school library. Every class were given the opportunity to visit the school library and share a book with their class teacher; it was fantastic to observe how engrossed the children were listening to a book being read by their teacher. 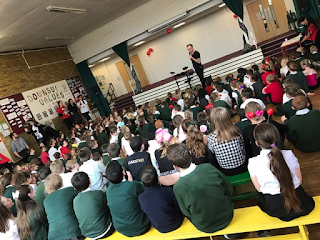 It appeared that every child in the school thoroughly enjoyed celebrating WBD! It was lovely to share books, appreciate authors and illustrators, as well as promote reading for pleasure. Reading is a life skill. It is so important to read EVERY DAY so please ensure your child does so. Thank you for all your support in promoting the enjoyment of reading. Winners of the bookmark competition will be announced on Friday 10th March during Golden Assembly. So far, we have had some fantastic entries which will make judging VERY hard. Term 4 here we come! Term 4 has started well. In assembly today, we watched a very moving video demonstrating the power of perseverance - our Downsview Value this term. In the video, we watched Derek Redmond complete his 400m race in the 1992 Barcelona Olympic Games...despite rupturing his hamstring after just 150m. The video showed Derek's absolute determination to get to the finish - at no point did he give up! Helped by this father, Derek hobbled across the line to the standing ovation of 65,000 spectators in the stadium. Although his Olympic hopes were shattered, he was not prepared to give up....he was going to finish the race - and did so! Perseverance is crucial to success and achievement. This term we want to see every child show this quality - in persevering and being determined to succeed, anyone can achieve anything! Children in EYFS will be exploring and finding out all they can to answer this question..."Why don't snakes have legs?" They'll be learning about reptiles and using their senses for sure! Another busy term ahead - I'm looking forward to it already! Term 3 - January 2017! I hope that you had a great Christmas and enjoyed the festivities! Firstly, the answers to the Xmas Jumper Challenge - 1. Jumper worn by Mrs Willetts, 2. Jumper worn by Mrs Wood, 3. Jumper worn by Mrs Cooper, 4. Jumper worn by Mrs Elwood and 5. Jumper worn by Miss Page. How many did you guess correctly? Just for an update, each class take a learning project (otherwise known as a topic) every term and this is used to link learning, concepts and ideas. Our brains work in this way and make connections between things...by using an overarching topic or project, the children are more likely to remember key ideas and learning. "Do you remember when we dressed up as pirates and visited the Maritime Museum?" and other questions can then help children to draw on prior knowledge and learning and build further skills. EYFS (Apple Class) are taking the question, "Are we nearly there yet?" as their learning theme. The children will be exploring different transport, ways of travelling and special journeys. Year 2 (Cherry Class) become pirates this term as they study the topic, 'Land Ahoy!'. This is both a historical and geographical based learning project which is great fun! Year 3 (Elm Class) are going back in time to study 'Stone Age to Iron Age'. I read some amazing non-chronological report writing today telling me all about life in the Stone Age (I'm not sure that I'd have survived for very long!). 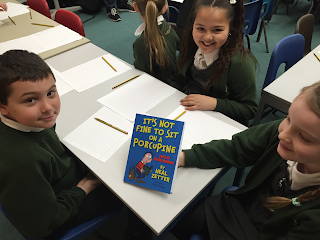 Year 4 (Fir Class) are using 'Potions!' as their learning project. Starting with Alice in Wonderland in English, Year 4 will be exploring this mainly scientific based theme. Year 5 (Holly Class) are heading to 'Alchemy Island'. This fantasy based learning project should stimulate some great creative writing. When I walked around the school on Monday, Year 5 were taking photos of potential 'portals' within the building that could transport us to another world. Our eldest children, Year 6 (Oak Class) are continuing 'WWII: A Child's Story'. 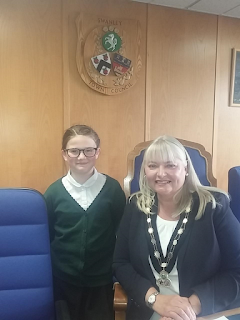 As it is such a large learning project, the children will be deepening their knowledge and understanding of life in the 1940's.